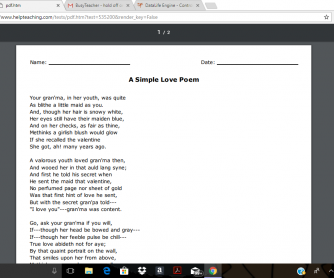 This worksheet helps students improve their reading comprehension skills by reading a poem and answering a series of questions about the poem. 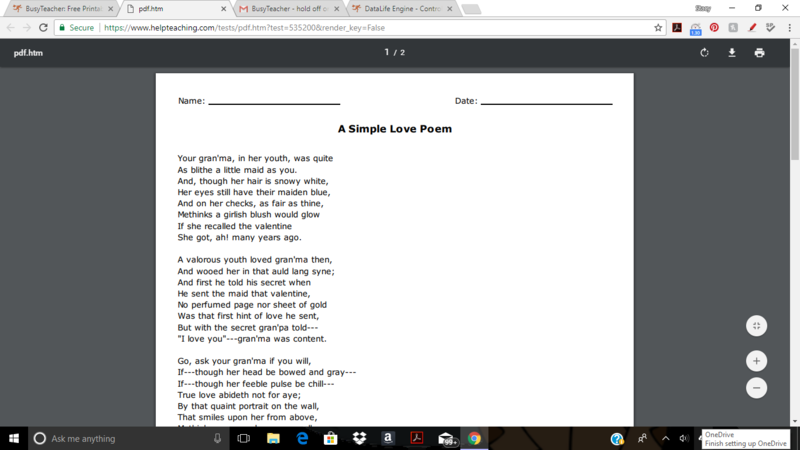 Students will also compare the poem they read to another poem and answer questions about the two. Find more reading comprehension worksheets at HelpTeaching.com.